Am Anthony Petrello from California. I actually observed my wife has been viewing your website on my laptop and i guess she likes your piece of work. I'm also impressed and amazed to have seen your various works too, You are doing a great job. I would like to purchase one of your Collections Labyrinth Sculpture, 16.5 H x 32 W x 1.5, as a surprise to my wife on our anniversary. Also, let me know if you accept check as mode of Payment. *The Great Application Giveaway - Art-Linx will award 3 lucky artists their jury fee. This random drawing is based on application (not acceptance) to the show. Winners will be notified via email. 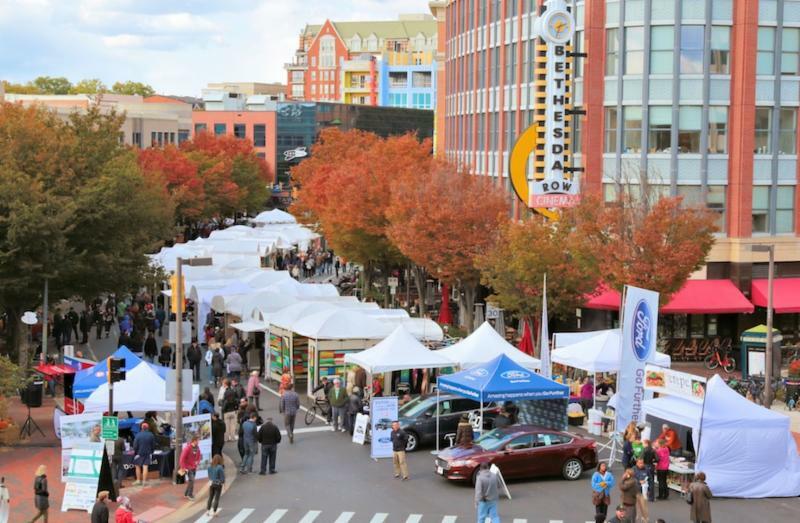 We invite you to apply to the 20th Annual Bethesda Row Arts Festival. The festival takes place on the streets of Bethesda Row, a prime location of fabulous dining, entertainment and specialty boutiques. Our multi-page glossy program will be mailed to 20,000 high income single family homes prior to the show and personally handed out by your street captain to the 45,000 art lovers who come to the show.